Tokyo: Soon after Carlos Ghosn was taken into custody last fall, kicking off a bizarre legal odyssey that’s transfixed the automotive world, some wondered whether the financial crimes he’d been accused of were serious enough to warrant the shocking arrest of Nissan Motor Co.’s fabled chairman. Turns out that was just the opening act. The initial arrest last November—over what some viewed as a relatively minor charge of understating compensation—was a tactical move to buy time to analyze money flowing to and from Oman, according to people familiar with the matter. Additional charges followed. Nissan executives have since been cooperating with Tokyo prosecutors and received plea agreements in at least two instances, according to the people, who asked not to be named discussing private matters. The ousted auto titan is now facing far more serious charges that he enriched himself via a web of complex financial transactions involving business partners in Oman and Saudi Arabia, as well as in his ancestral home of Lebanon, where he’s still lionized as a visionary. With prosecutors confident they could make a case, they arrested Ghosn again on 4 April, just weeks after he’d been released on bail. A Tokyo court on Friday approved his detention through 14 April. In the latest allegation, Ghosn is accused of siphoning off $5 million out of a total $15 million in funds that Nissan sent to an overseas distributor between 2015 and 2018, according to Japanese prosecutors. That figure excludes more than $15 million that Nissan found Ghosn to have sent there in prior years, according to people familiar with the matter. Representatives for the Japanese prosecutors’ office and Nissan declined to comment beyond what they’ve said publicly. While Japanese authorities didn’t disclose the name of the distributor, an investigation by Renault SA and Nissan has found payments made under Ghosn that allegedly went to Suhail Bahwan Automobiles Llc, Nissan’s exclusive distributor in the sultanate, according to people familiar with the matter. Some of those transfers may have gone toward things like a yacht and a startup run by Ghosn’s son, according to their findings. “The new charges are more substantive and serious," said Stephen Givens, a professor of law at Sophia University in Tokyo. “Things could change for Ghosn’s prospects if it turns out he was actually embezzling Nissan’s money." For his part, Ghosn continues to deny all charges of financial wrongdoing. In a statement, he said his latest arrest was “outrageous and arbitrary" and that he “will not be broken". And in a French television interview just before his detainment, the former Renault chief executive officer (CEO), who’s a French citizen, called on French President Emmanuel Macron’s government to “defend me and preserve my rights". Ghosn rose to the top of the auto industry thanks to his turnaround of Nissan, which was almost given up for dead under the weight of heavy losses in the early 2000s. He built one of the industry’s biggest car alliances, which includes Renault and Mitsubishi Motors Corp. Until last year, he was a Davos business celebrity admired for his knowledge of five languages, cosmopolitan upbringing in Lebanon and Brazil, and gold-plated business connections. In Lebanon, where Ghosn has investments in real estate and vineyards, he’s viewed as something of a national hero and managerial wunderkind. “He is looked upon as an icon and an ideal of proper management, so what is being reported is surprising to many," said Yusuf Sidani, a professor of ethics and leadership at the American University of Beirut’s Suliman S. Olayan School of Business. Ghosn still has plenty of defenders in the country, where his image has graced national postal stamps. “It’s a conspiracy and I felt that they wanted someone else to replace him," said Racha Nassif, an administrator at a private school. “I’m very proud of him still." In his upcoming Japanese trial, Ghosn’s past triumphs will mean little as prosecutors bring forth evidence detailing his business dealings with two prominent West Asia business partners: Khaled Juffali, the scion of a powerful business family and chairman of one of Saudi Arabia’s biggest conglomerates; and Omani billionaire Suhail Bahwan, who controls Nissan’s sole distributorship in the sultanate. Personal relationships between multinationals and business tycoons are not unusual in the West Asia, where facilitators can be key to navigating local customs and regulations. “Business in the West Asia is highly personalized, and in the Gulf in particular there are business families whose success is tied to their ability to attract outside business," said Gary Grappo, a former US ambassador to Oman and current distinguished fellow at the University of Denver’s Center for Middle East Studies. “It’s a small group of families whose business interests tend to go back decades," he said. But Japanese prosecutors have charged Ghosn with abusing those relationships by committing aggravated breach of trust—legal jargon for abusing one’s corporate position for personal gain under Japan’s Companies Act. In the case of Juffali, prosecutors alleged in December that Ghosn improperly shifted personal investment losses to the Japanese automaker. A key issue is a derivatives transaction that a company linked to Ghosn made with a Japanese bank. It unraveled when the yen soared during the 2008 financial crisis, saddling Ghosn with $16.7 million in unrealized losses, and prompted the lender to demand more collateral. Prosecutors allege that Ghosn first transferred his position to Nissan and later shifted the investment back onto the books of his affiliated company, with Juffali providing a letter of credit to satisfy the bank. Prosecutors are also scrutinizing $14.7 million in payments Nissan made to companies controlled by Juffali. Both Ghosn and Juffali, who hasn’t been charged with any crime, deny any wrongdoing. “The $14.7 million in payments over four years from Nissan Motor Co. were for legitimate business purposes in order to support and promote Nissan’s business strategy in the Kingdom of Saudi Arabia, and included reimbursement for business expenses," according to a statement issued in January on behalf of Khaled Juffali Co. by its New York-based public relations firm. Juffali played a key role in settling a dealership dispute with a local partner that had depressed Nissan’s West Asia sales, and helped get government approval for a joint venture called Nissan Saudi Arabia, according to the statement. He also helped Nissan get approval and funding for a new plant in Saudi Arabia, it said. The Juffali family is one of the most powerful in the region and are direct descendants of Khalid ibn al-Walid, whose Meccan tribe played a pivotal role in the early history of the country. Founded in 1946, E. A. Juffali & Brothers has evolved into one the kingdom’s most prosperous businesses by teaming up with international partners including International Business Machines Corp., Massey Ferguson Corp., Siemens AG, Robert Bosch GmbH and Michelin, according to its website. Ghosn and Juffali have known each other for years. In Oman, Suhail Bahwan Automobiles, which is Bahwan International Group Holding’s flagship company, has been Nissan’s distributor since 2004. A year later, the partnership paved the way for the opening of what was then Nissan’s largest showroom in the world. The local business magnate is a household name in Oman, and his holding company’s website markets itself as a distributor of more than 20 international brands. “The Bahwan family is quite well known in Oman. You’d be hard pressed to find anyone there who does not know the name," said Grappo, who served as US ambassador in the country from 2006 to 2009. Renault has said it’s uncovered suspicious payments to companies in the West Asia. The transactions to Oman and Lebanon may have then been used for the personal benefit of Ghosn and his family, according to people familiar with the matter, who asked not be named because the details aren’t public. A Paris-based spokeswoman for the Ghosn family denied any wrongdoing by Ghosn and said reports on Oman payments, use of the airplanes and the startup are part of a smear campaign to make the former executive look greedy. A spokesman for Suhail Bahwan Automobiles couldn’t be reached for comment. Such questionable payments would raise eyebrows even in the West Asia, despite its reputation for opaque transactions. “I am not aware of any cultural understanding that says under the table dealing or kickbacks are acceptable," said Sidani, who authored a book published in 2018 called Business Ethics in the Middle East. On Monday, Nissan severed its two-decade connection to Ghosn as shareholders removed him from its board. 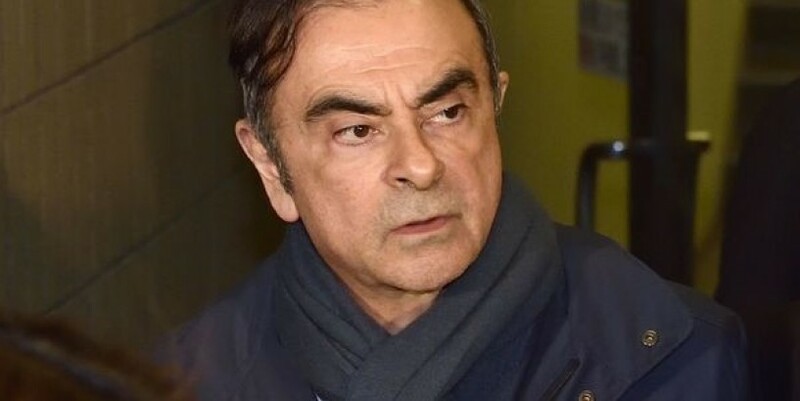 Ghosn, detained in a Tokyo jail, was voted out as director and is being replaced by Renault chairman Jean-Dominique Senard, who joins Nissan’s board as vice-chairman. Investors approved the change at an extraordinary shareholders’ meeting in Tokyo that Nissan agreed to hold at the request of largest owner Renault.